This week’s Porsche’s Top 5 video series on YouTube takes us inside the cabin of the brand new 911. After showing us the exterior design highlights of the car last week, the company is now focusing on its interior features. And dare we say there are a lot of cool details. 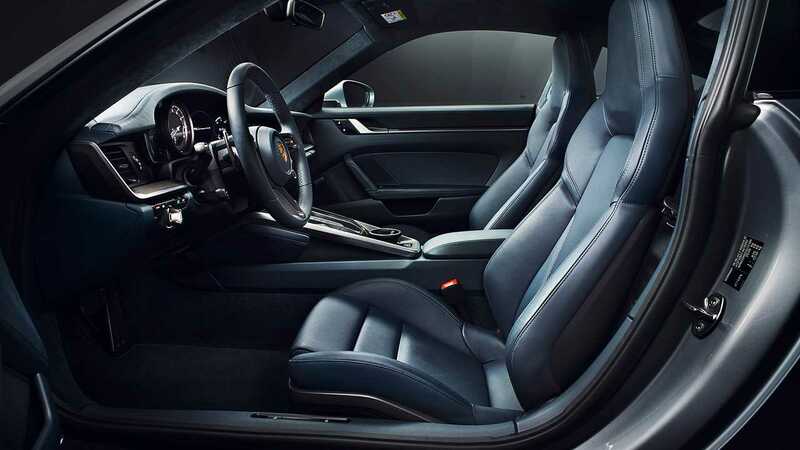 To help us identify some of the most important novelties inside the car, Ivo Van Hulten, Porsche’s Director of Interior Design, walks us through the highlights of the car’s interior. 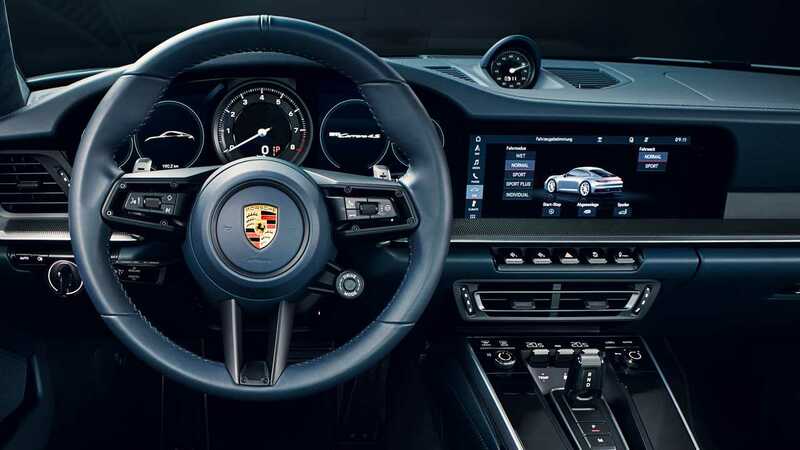 He starts with the overall operating concept of the dashboard which is said to be tailored to the driver and inspired by the “history of Porsche.” Probably the most distinctive feature here is the analog rev counter in the center of the instrument cluster. Did you see the new 911 Cabriolet? Next is the offset center console which emphasizes the width of the dashboard and the entire cabin. This is a design characteristic found in the first three generations of the 911 and is now making a comeback for the 992 model. Number three most important feature is the 3D decorative trim on the dashboard. It allows customers to customize their vehicles with wood, aluminum, carbon, and other finishes. The door panels have the same trim line which connects with the strip on the dashboard. The new instrument cluster is a feature that defines the interior of the new 911. It’s a mix between a traditional analog rev counter and a fully digital display surrounding it. For the new generation of the iconic car, Porsche is also bringing back the layout with five complete circles. The analog-digital mix actually brings us to the interior feature highlighted as number one in the video. Van Hulten says he finds the overall balance between analog and digital just perfect. 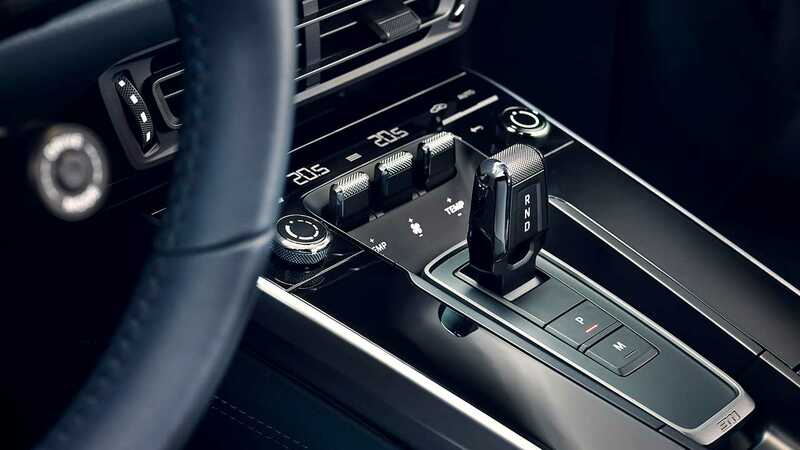 Honestly, we can’t agree more and we especially like the fact that the new 911 features several physical buttons and is not leaving the control of all functions entirely to the massive display in the center.